We offer a full Thermal Imager Calibration Service and Repair Service for a wide range of thermal imaging equipment. You’ve invested a lot in your thermal imaging equipment. Let us help you ensure that it’s running smoothly. 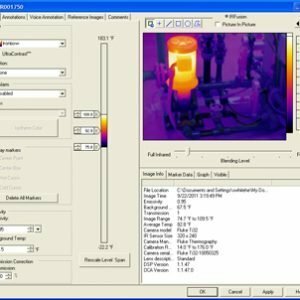 With our in-house Calibration Lab, you can be certain that your thermal imaging cameras, infrared cameras, and thermal imagers are performing optimally and providing you with the accurate information that you require to ensure the success of your operations. We also offer thermal imaging repair service and can diagnose and correct a wide variety of problems that you may be experiencing. We calibrate & repair thermal imaging cameras from the leading manufacturers such as FLUKE and FLIR. Accuracy is everything when it comes to thermal imaging instrument calibration, which is why we operate to the highest of standards. 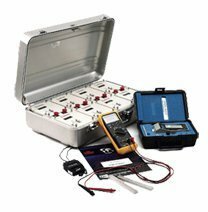 Our in-house calibration lab y meets all of the recommended guidelines, and our technicians work in accordance with industry standard best practices to ensure best results and safety. Powerpoint Engineering Ltd has been assessed by the National Standards Authority of Ireland, (NSAI), and complies with the provisions of the standard Quality Management System I.S. EN ISO 9001:2015. In addition to this, all of our calibrations are carried out in accordance with ISO Standard Measurement Management Systems 10012:2013. We constant work to maintain our exceptionally high levels of quality to all of our customers. All our lab certificates are traceable to national and international standards and our computerised certification system enables us to keep accurate records of all our issued certificates. Although we take the time to ensure that the job is done right every time, our in-house team is able to offer a fast 5 business day turnaround times on our thermal imaging calibration work. Not exactly what you are looking for? Visit our www.calibrationlab.ie website for further information or contact us for advice and specific requirements, we’re happy to help.